In this blog post I am going to outline 5 key reasons your back muscles are weak and what you can do to help them. You see, based on my own fight against lower back pain and the research I carried out, weak back muscles are definitely to blame for many of the lower back ailments we experience. In fact, I later learnt while carrying out my research that leading orthopaedic specialists believe 80% of back problems are due to weak lower back muscles. When these muscles are weak they can no longer support your spine and as a result strain is placed on the ligaments and spinal structure causing you pain in your lower back. Most of the time you probably won’t realise you actually have weak lower back muscles. 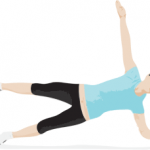 Instead this will catch you off guard in the form of an injury which will cause you pain or limit your movement. Common injuries associated with having weak lower back muscles include sprains, strains and herniated disks. Before I talk about these injuries, let’s look at what causes your lower back to go weak in the first place so we can learn and educate ourselves on what to look out for. What Causes Weak Back Muscles? In today’s digital world we spend a lot of time sitting. You’d think this is the safest thing to do right as we are simply sat down on our butts? This thing that we call the human body simply isn’t built to sit at a desk, especially for long hours. Sitting, often hunched over a computer or laptop screen every day is the worst thing you could do. In fact, working a manual labour job that involves lifting is considered safer in comparison. The reason being that when we are doing a manual labour task our joints and muscles strengthen over time with activity as opposed to weakening due to inactivity, thus making us more prone to injury. Another dangerous element of sitting is that most people don’t know how to sit correctly and many are guilty of slouching. This puts unnecessary strain and stress on our spines which over time causes us to develop a poor posture and as a result creates an imbalance on our overall spinal frame. I’ve split this into two parts for a reason. Yes, a lack of exercise causes us to gain weight and we all know the drawbacks of having a sedentary lifestyle. So start cardio exercising! However, a lack of the correct strengthening exercise can also lead to weak back muscles. Yes walking and climbing stairs are a form of exercise, but this doesn’t target all specific muscle groups sufficiently i.e. your abs & back. Therefore, we need to carry out additional strength training to supplement our day to day routine or cardio workouts so we can isolate these muscles groups in order to maintain adequate strength and tone as we get older. In the past, due to my lack of self education, I used to think stretching was a time wasting activity. However, since strengthening my lower back, I’ve now realised the importance of this. Stretching is very important as it lengthens the muscle that is used to support areas of the spine. Muscle shrinks over days when not stretched and suffers in adequately supporting it’s designated body area. I don’t mean watching an episode of your favourite soap here, though people with back pain do encounter a lot of drama! I know I sure did, just ask my wife! What I mean here is that If it lasts for more than 2 weeks, it can lead to muscle weakness as you won’t use your back muscles due to pain. You will find yourself not using your back altogether to avoid the pain thinking that you are causing more damage. This was a misconception I had too. However, what I later learnt was that this in turn leads to muscle wasting and subsequent weakening in the lower back (AKA. Muscle Atrophy – which is a posh way of saying muscle wastage). This then becomes a viscous cycle causing further back pain and weakness until it leads to yet another injury. 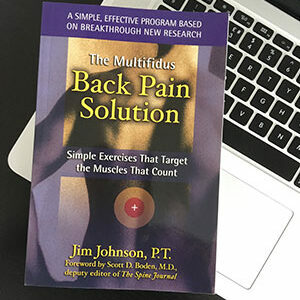 I went through this pain-cycle about 3 to 4 times where I simply kept re-injuring my lower back every few months with certain movements and activities due to the lack of muscle strength supporting my spine. 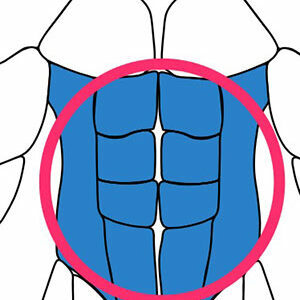 This one may not be so obvious to you so let me explain how the muscles in your body work. You see, our muscles are made to contract and relax when we move. However when you are feeling stressed these muscles can contract more than usual causing a spasm. This muscle spasm is a defensive response to avoid further stress or injury which then deprives itself of vital energy needed to make the spine function properly. Ok, so hopefully, we now have a better understanding of what causes our back muscles to become weak. Now, If you take a step back you will see that these causes are all avoidable if you are aware of what you are doing to your body. 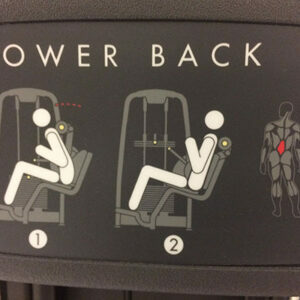 However if you are unaware and this goes unnoticed, over time this will increase your risk of a back injury. 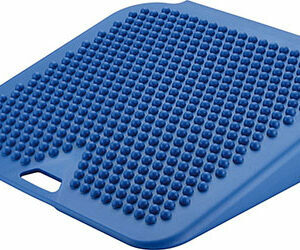 So now, lets cover some of the back injuries you may experience as a result of this. A sprain refers to a stretched or torn ligament. These ligaments are like tissues which connects the bone to a particular joint. Common cause for sprains include falling, twisting or getting hit with impact. A strain on the other hand is muscle that’s been stretched or torn. This muscle connects to the bone. Muscle is composed of fibers, nerves and connective tissues and when this is twisted or pulled this causes a muscle strain. Symptoms for both these are similar which includes pain, muscle spasms, swelling and limited movement. Treatment usually involves initial rest, ice and then some form of basic exercise such as walking or swimming. A good physical therapist will guide you on what to do. A herniated disk, also known as a bulging disc, is what happens when you rupture a disc which causes a jelly like centre to leak out and sometimes irritate near by nerves. WHAT? OK, I hear you, let me explain how the back is structured to give you a better idea of what I’ve just said. You see, your spine is made up of 26 bones in total, yes 26! and these are called vertebrae. 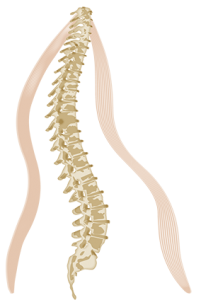 In between the vertebrae holds a soft disk filled with jelly like substance. The job of this disk is as you can probably guess to provide a cushion. However as we get older these disks start to break down and loose their role of cushioning due to wear and tear. It’s important to go and see a doctor with any medical issue hence, you should go and see your doctor when this happens. The doctor will do a full exam and on some occasions an imaging test. Yes this all sounds very scary, however most people will recover over a period of time. inflammatory medicine and physical therapy. On some very very rare occasions surgery, however the doctor will advise here based on the results of an imaging test or mri. We can see that the main cause of lower back pain is most likely from those injuries I’ve just mentioned. These injuries stem from having weak back muscles. This is caused by the points I’ve mentioned under ‘What Causes Weak Back Muscles?’. In order to manage the pain, we need to avoid the things we are doing that could be contributing to our back pain. Once the pain is under control, it’s time to start thinking about gradually strengthening our back muscles one step at a time. This is our long term solution, Period! 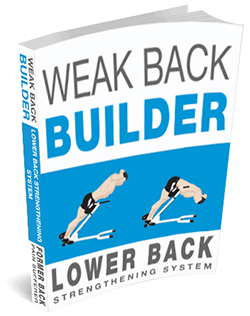 There are no quick fixes when it comes to strengthening the lower back and fixing back pain, despite what you might read elsewhere on the internet, I’ve been there and tried that. Strengthening is exactly what I forced myself to do after resigning to the fact that I would be living with back pain forever. I’m really glad I managed to come up with the courage to tackle this head on, otherwise I think I would have found myself with further injuries and complications from neglecting the root problem.